Eritrea President Isaias Afwerki is making his first visit to neighbouring Ethiopia since a bitter border war erupted between the two countries in 1998. The three-day diplomatic visit comes days after the two nations declared an end to the “state of war” that has existed between them for twenty years. Ethiopia prime minister Abiy Ahmed welcomed Afwerki upon his arrival on Saturday while thousands of people – many waving Eritrea flags – lined the streets to greet the Eritrean president in Addis Ababa. Eritrea President Isaias Afwerki’s landmark visit to Ethiopia is the latest peace gesture as the two countries continue their efforts to put their border conflict behind them and build bilateral ties. Speaking at a lunch hosted by Abiy Ahmed, the Eritrean leader acknowledged that history is being made after an agreement between the neighbouring countries that will see Ethiopia abide by a border ruling that places disputed territory in Eritrea and bring an end to military tension – as well as allow the African nations to establish diplomatic and trade relations. Afwerki’s visit to Ethiopia comes less than a week since Abiy Ahmed travelled to Eritrea, where he signed an agreement with the Eritrean leader to end all conflict and rebuild bilateral ties. 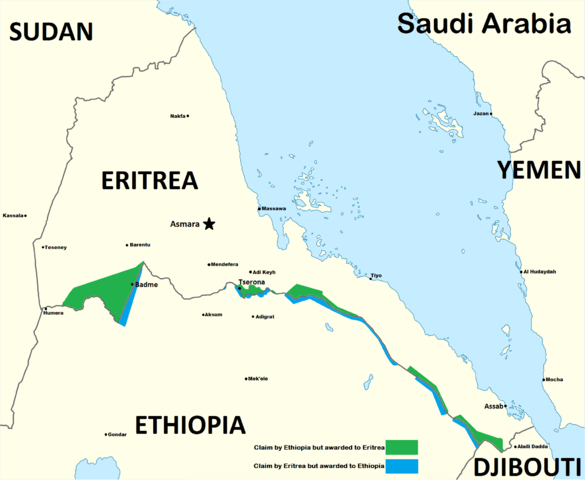 Eritrea and Ethiopia have been in a state of “no peace, no war” since 2000 when a peace deal brought a fragile end to a border war that killed tens of thousands of people.